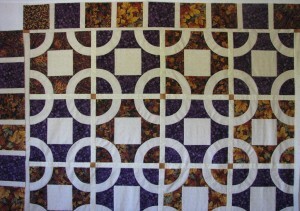 I just knew that I wanted a pieced border on the Autumn Rings ‘n’ Things quilt, however the quilt had different ideas. Instead of playing nicely together, the border and the center are fighting for attention. 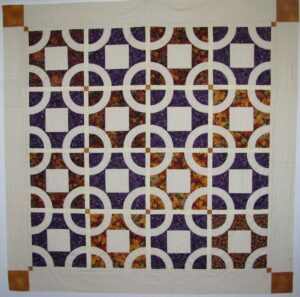 Off with the pieced borders, and on with a border from the background fabric. I wanted the focus to be the circles in the center and this border does the trick. The next project is a birthday Lego quilt for my youngest grandson’s first birthday. I need to get busy on it. Check out what else is going on at Patchwork Times. 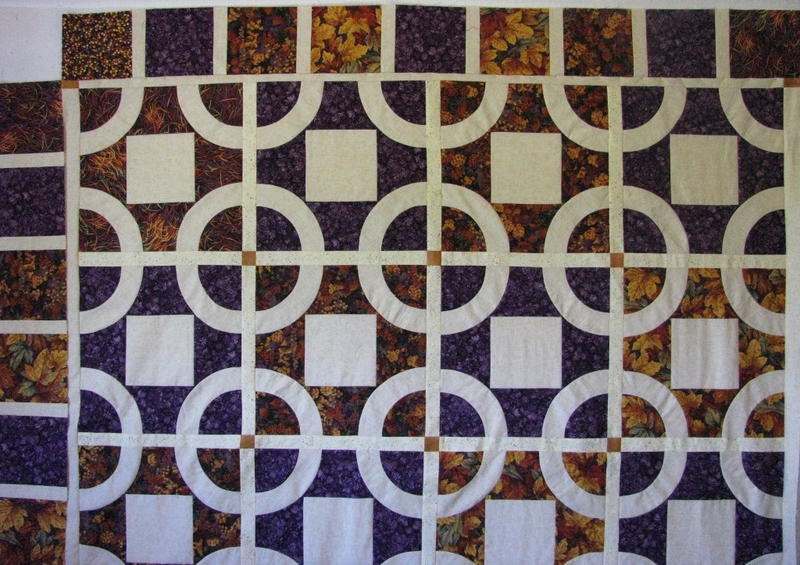 I love this quilt and it has such a unique block. I like the solid border too. Very pretty.